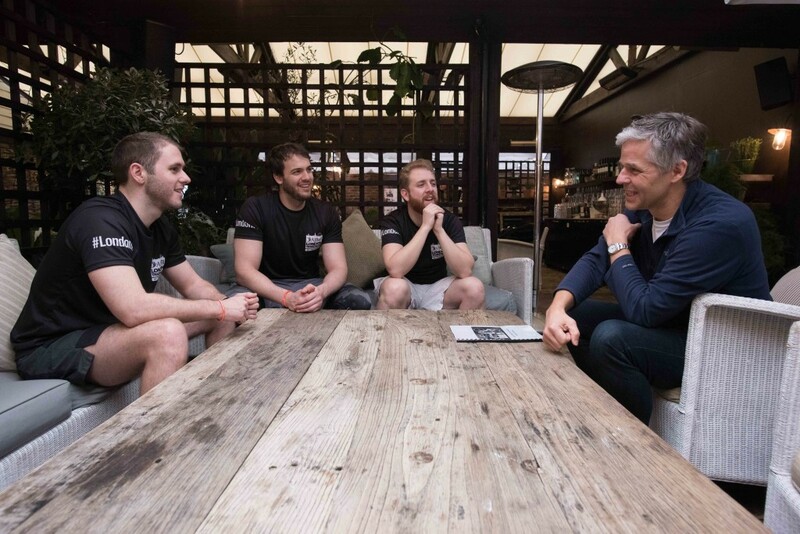 In March, Team EtchRock were kindly invited to the AJ Bell London Triathlon Training Essentials Day in London. Throughout the day, we learnt all about the three different stages of the race and were given training from some fantastic coaches. 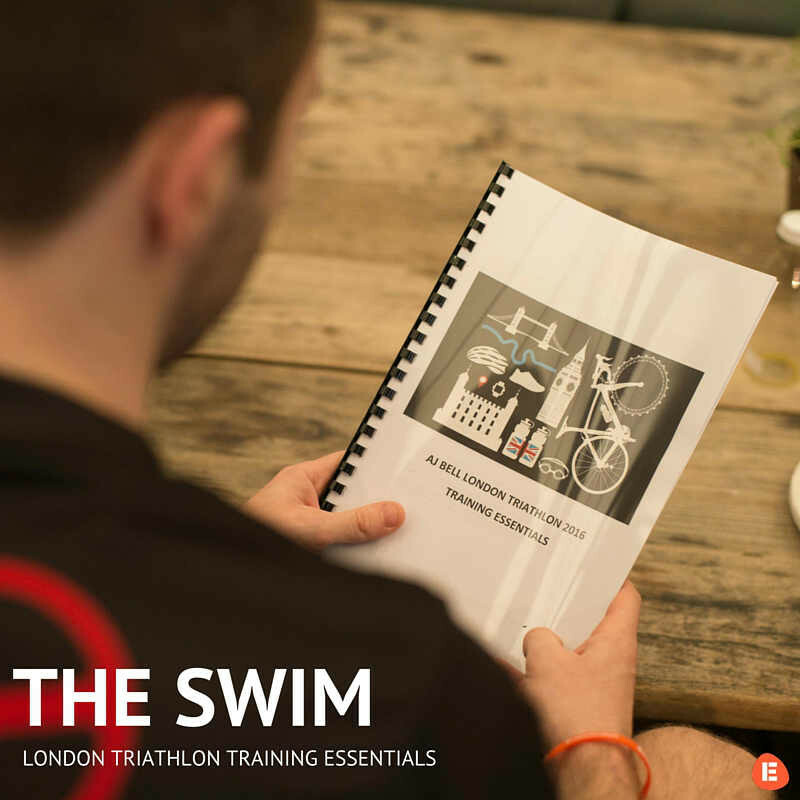 With the London Triathlon fast approaching on the 6th of August, it was the perfect time to kick-start our training and learn from some of the best! Today we will take an in depth look at the most often feared part of the race, the swim. We had a fantastic swim coach named Ray Gibbs from Swim Canary Wharf to help us refine our technique. With 17 years of experience under his belt, I was eager to pick Ray’s brain about a variety of situations that I found myself in during last years event. Without the comfort of lane ropes and walls to guide you during your swim, you need to find a way to navigate your turning points. Learning how to do this is the first step for successful open water swimming. 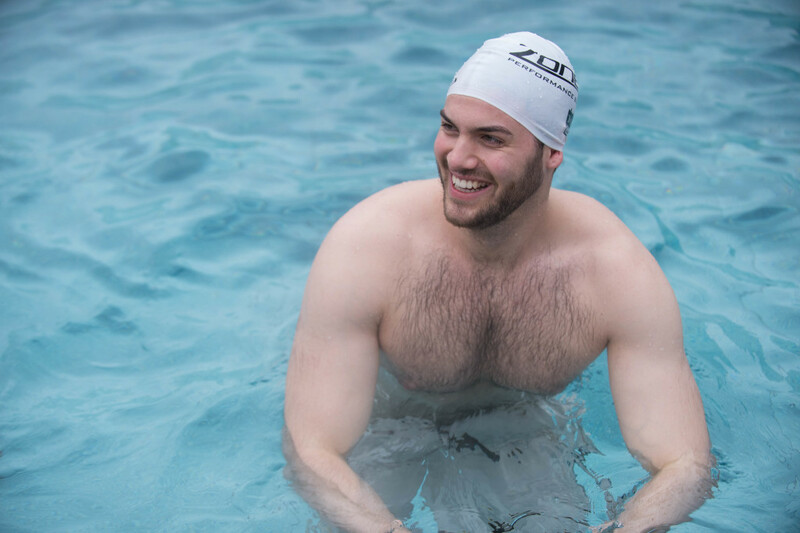 If you’re practicing in a pool, start by closing your eyes whist swimming an entire length and if you’re practicing in open water, swim towards a target without sighting. By doing this you’ll be able to see how straight you can swim without looking. Then, start practicing lifting your head up out of the water before turning your head to breathe. Lifting your head every six strokes will let you see where you want to go and keep you focused straight in that direction. The AJ Bell London Triathlon is the world’s largest event of its kind, with a number of different waves of swimmers setting off at intervals. Big groups of swimmers are standard fare which will mean you face a little bit of bumping and bashing at times. Having other swimmers in close proximity does take some adjusting to and typically you have two options…stay out of the way or learn how to turn it into a performance advantage. Drafting with friends or similar speed swimmers can help save your energy on the day and come out with a better time. You can practice this by training in a close group, swimming side by side or one behind the other. At the start of the swim, you will jump off the pontoon and wait in the water until your wave starts; it’s a good idea to build your confidence in deep water ahead of the event to prepare for this. The best way to do this is in your wetsuit, making your body horizontal whilst you kick your legs gently. Make sure you scull with your palms facing forwards. On race day, when the klaxon sounds, kick hard and start swimming to propel yourself off the start line. Wetsuits are compulsory for the AJ Bell London Triathlon. Wearing one can restrict your movement, particularly around the shoulders, which will take a little getting used to. You should practice swimming in your wetsuit at least 2-3 times before race day. Open-air lidos are often slightly cooler and generally allow wetsuit wear so are a good option if you can’t get to a lake or sea. It’s also worth noting that before you return to transition after your swim you’ll need to take your wetsuit off – make sure you’ve practiced getting out of your suit before race day and that you know where your zips and velcro are to make this easier and more time efficient. Open water is colder than a swimming pool and although your wetsuit will help keep you warm you still need to get water into your suit to be able to warm it up. You’ll also notice your breathing becoming more rapid when braced with colder waters. Where possible, try to practice your swim technique in cold water, to get yourself used to the experience and then work on controlling your breathing when you get into the water. Marketing Manager Jason looks like he is having a great time! After we had a good talk, we were ready to jump in the pool and start working on technique. The first part we learned was the floating start. As mentioned in point three, you jump in the water prior to the start and wait for your wave to be called. Last year, during this period, I burned way too much energy treading water and trying to manoeuvre my way to the front. After listening to Ray, this needs to be the part of the race where you need to be conserving energy and trying to find a suitable starting spot, especially for a beginner. If you are feeling at all apprehensive about the swimming phase, I would strongly recommend trying to find your own space and not get involved with the carnage of the start line! We also touched upon a number of different topics in the pool, how to breathe properly, correct stroke technique and how to wear your hat and goggles right. After an hour and half under Ray’s tutelage, I couldn’t feel more confident going into the race this year & would recommend him to anyone in the London area who is looking to improve their swimming. What was once a feeling of apprehension for the swim, is now a feeling of excitement to put our new skills to the test! If you want to reach Ray, you can visit his website at here, or also on their Twitter & Facebook pages. There is still time to sign up for the London Triathlon which you can do here. Make sure you are part of the world’s biggest triathlon in their special 20th year anniversary! Already taking part in the London Triathlon? Then you can log your training here, connect your EtchRock account to your favourite wearable tech and download the data straight to your profile.